Some of the couples I know want to have their flooring replaced because of the damage done by the recent flooding. If your flooring is not ceramic tile you will notice that after being soaked in the flood some kind of flooring shows some wear and tear. We have experienced such problem when our 10-year old vinyl flooring has suddenly showed little cracks. We dismissed it as one of the results if you have been flooded but after some time it suddenly looks so bad that we decided to change our flooring. We still chose vinyl flooring tile because it’s perfect for my kids who often run in the house. Some tiles can make you slip unlike vinyl which is softer and more durable than other flooring tiles. Since my Mom has a hard time walking and roaming the house it would help her a lot if we choose a more convenient floor for elders and toddlers as well. 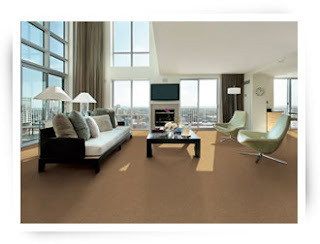 I was able to get more information from Advance Carpet One Floor & Home in St. Louis and found out that they offer suggestions and samples of their products for an idea of perfect flooring choice for your home. With that help from them you will surely have a good time choosing the right flooring for your home sweet home.